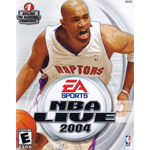 NLSC | Page 318 of 330 | Your source for basketball video games. 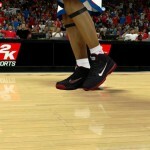 With the debut of the Nike LeBron 9s, the shoes have also been added to NBA 2K12 via an update from 2K Sports. They should be automatically downloaded for the PC, Xbox 360 and PlayStation 3 versions of the game as long as you are online and signed in, subsequently appearing in the My Shoes and NikeID menus. In addition to being available in a couple of different colourways, the shoes also provide a +5 boost to dunking for your My Player. 2K Sports will be adding more shoes to the game as they make their debut in real life, including some on Christmas Day. Add your thoughts here in the NLSC Forum and check out some screenshots of the LeBron 9s in our NBA 2K12 gallery. 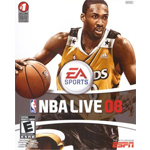 Da Czar has posted a new NBA 2K12 Play of the Day video. This time, the Detroit Pistons and their quick offscreen play are in the spotlight. Check it out here if you can’t see the embedded video and see more from Czar over on the Sim Citi blog. Da Czar is back with the eighth episode of Strategy Session series for NBA 2K12. The latest episode covers defensive settings and how they can impact gameplay. Watch it here on YouTube if you’re having trouble with the embedded video and don’t forget to check out more from Czar over on Sim Citi. 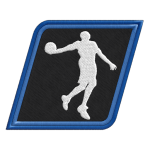 The winner of the second NBA 2K12 Patch of the Week feature is, kc2135 for his Rookie Roster! kc2135’s roster was the base for the west44 roster which is included in the Week 3 voting. To check out all of this week’s nominees, vote, and nominate patches for next week’s PoTW, check out this Forum thread. In addition to following our latest updates, you can also use our Facebook page and Twitter to drop us a line. On the rare occasion that we encounter technical difficulties, we’ll also post status updates there. I’m a little behind in posting the latest file additions for NBA 2K12 here in the news but if you’ve been checking out our Downloads section you’ll have seen a lot of new files being added over the past week or so. With ModdingWay’s release of the jersey and cyberface tools, the tremendous work of our own JaoSming in creating a collection of new tutorials and the continued efforts of several talented individuals in our community, there are a bunch of new updates for you to download including faces, jerseys, courts and more. See below for a list of the latest files that have been added and please keep the uploads coming! ModdingWay have released another update (v0.9) to their NBA 2K12 Cyberface Textures Exporter/Importer. The latest release fixes a few bugs, improves the importing/exporting process and should now work with all cyberface texture files. Download the latest version here and post any and all feedback, bug reports and questions in the tool’s release thread in the NLSC Forum. EA Sports have posted a new video which offers some tips on using Tag Mode and best utilising Team Fire in NBA Jam: On Fire Edition. Remember you can discuss NBA Jam: On Fire Edition in The Virtual Hardwood section of the NLSC Forum. For those who haven’t seen it yet, I also invite you to check out my review of the game here. 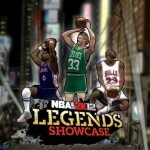 2K Sports have finally confirmed the Legends Showcase downloadable content for NBA 2K12 via an announcement posted on the official Facebook page. The DLC will be available this holiday season for $9.99 via the PlayStation Network and 800 Microsoft Points on Xbox Live, with no mention of a PC release. The Legends Showcase will feature a new, cell-shaded art style and will be set in New York’s Times Square. 2K Sports are promoting it as unlocking hours of additional gameplay as users will be able to take control of over 150 of the NBA’s all-time greatest players to compete in pick-up games, from 1-on-1 match-ups to regular 5-on-5 games. The DLC also includes mini-games such as 21 and H-O-R-S-E, along with a 2-on-2 Teammate Challenge and 3-on-3 Era Challenge. Current players and even your My Player can also be brought into the new modes to take on the greats. The Showcase will also add the ability to play quick matches online with the NBA’s Greatest teams in a regular simulation setting. What are your thoughts? Will you be picking up the Legends Showcase? Leave a comment below or have your say here in the Forum. You can also check out a few screenshots here in our gallery. 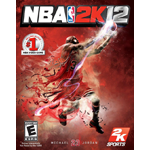 The title update for NBA 2K12 that Xbox 360 users received last week is now available for the PlayStation 3 version of the game. As previously mentioned, the patch does not address any game mode bugs or gameplay issues but is rather intended to correct some online issues including disconnections, network errors and long waiting times when trying to find an opponent. 2K Sports are also currently collecting feedback for a larger patch that will rectify issues with modes and gameplay. 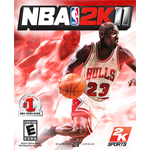 Gamers are invited to provide feedback via the official forums, the Operation Sports boards or by tweeting Ronnie 2K using #NBA2K12Patch. Ronnie has indicated that the PC version will likely receive a combined patch at some point that addresses the online issues and includes the fixes of the upcoming patch. Da Czar has uploaded the seventh episode in his Strategy Session series. 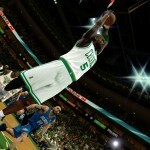 The latest video covers on ball defense in NBA 2K12. Watch it here on YouTube if you can’t see the embedded video and see more from Czar over on Sim Citi.